There are many different ways to help you get alimony. The process can go a lot faster if you know where to go for assistance and have an understand of what your rights are. Provide proof that your spouse's income far exceeded yours throughout the course of the marriage. Demonstrate an inability for whatever reason for you to obtain work that will sufficiently cover your expenses. If your financial standing or living conditions will be drastically and negatively altered without alimony, make this clear to the judge. In most instances, it is the judge making the decision as to whether or not you will be awarded alimony in your divorce. 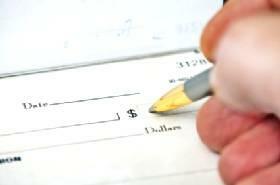 To increase your chances of getting awarded alimony, prove that you need the money. Make sure the alimony agreement is in writing, as this will come in handy if you later need to prove that there was an agreement made. You may also want to point out to your spouse the potential tax advantages that can come with paying alimony. This may be all you need to do to convince a spouse that alimony is a good idea. Just because alimony was ordered by the court as a part of your divorce agreement, it does not mean that this is a permanent source of income. Divorce agreements can be reviewed at either spouse's request and are sometimes revised by the court, meaning alimony payments might be stopped if the paying spouse can prove that the payments are no longer necessary. How do you make sure that you keep the alimony payments coming? The key is to not make any changes that will eliminate your need to for the additional funds. Do not move in with a partner and share expenses. Do not seek employment that will exponentially increase your income. Avoid quarrels with your ex-spouse. Of course, many people will argue that obtaining a high-paying job is far better than relying on alimony and many people will frown upon trying to keep an ex-spouse happy just to avoid future conflict with alimony. If your main concern is getting and maintaining alimony, however, don't make too much money and avoid having the terms of your divorce agreement altered. Alimony ordered by the court is a legal financial obligation, but this does not stop some spouses from defaulting on payments. Simply put, some ex-spouses would rather face a charge of contempt of court rather than pay a dime in alimony. Approaching your ex-spouse personally to collect alimony may or may not yield results, depending on your relationship now and your ex-spouse's financial position. It may be best to take a legal route to help you collect the alimony that is due to you. If your ex-spouse is in the military, or retired from the military, you may be able to approach a representative from your ex-spouse's military installation who will assist you in obtaining your alimony through direct allotments. Be prepared to prove the alimony is court ordered. If you cannot afford the legal fees to retain the services of an attorney to help you get the alimony payments you are legally entitled to, consider seeking out a pro-bono attorney who will handle the petition for you without charging you a fee. Look for a pro-bono attorney by contacting a local Legal Aid organization or by searching through an online database.